The first two books Enticed & Entangled to Ginger Voight’s newest series “The Fullerton Family Saga” are NOW AVAILABLE and we don’t have to wait to long for the conclusion of this series – Book #3 will be released in March! Check out my review and author giveaway. Rachel Dennehy had a crazy thought. If she could just start over somewhere else, she could forget about her sad and tragic past and all the ghosts that chased her. 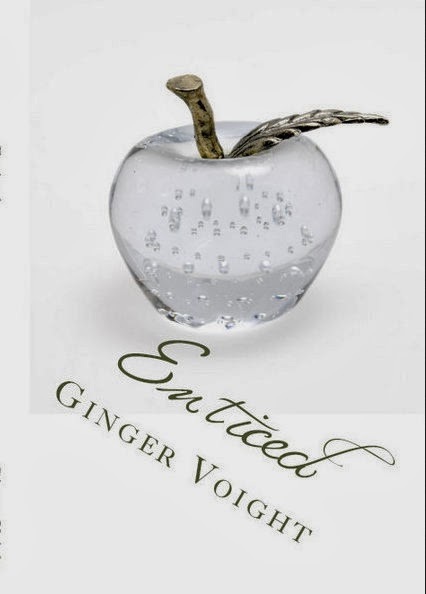 When an email landed in her inbox, to tutor a difficult student whose father just happened to be the CEO of one of the biggest companies in the nation, the apple was a bit too enticing for Rachel to refuse. She moves from Texas to Beverly Hills, where she is tasked with turning around her wealthy pupil’s bad attitude. It is a bad attitude that stems almost entirely from his parents’ ugly divorce and even uglier custody battle. That her new boss Andrew, or Drew, Fullerton is one of the handsomest and most eligible bachelors in the world means nothing to Rachel. She has absolutely no plans to ever marry or have kids of her own. Her priority is teaching nine-year-old Jonathan, who needs her guidance and her direction and… most importantly… her friendship.Drew’s brother, Alex, however, assumes otherwise. He basically accuses her of being a gold-digging opportunist upon their first meeting. This sets the two immediately at odds, though they both have young Jonathan’s best interest at heart. Alex believes that Rachel is a “ringer,” a wholesome alternative to edge Jonathan’s socialite mother out of the running for custody, since she left Drew after her own salacious affair with a younger man. He wastes no time in telling Rachel that as long as she stays in her job, she will keep Jonathan from his real mother, and that is the driving force behind Drew’s interest. Unfortunately the more he tries to warn her away from Drew, the closer he ultimately propels her toward her charming boss. Drew never questions her motivation or her presence because Jonathan thrives under her tutelage, and Drew is beguiled by her no-nonsense attitude that challenges him from the start.Rachel navigates these choppy waters solely to protect Jonathan. She sees the adults in the family as self-serving; most of whom are far more interested in hurting each other than taking care of this fragile, vulnerable boy. Her heart traps her into this sticky web, despite her own history of loss and betrayal. How long will she last? More importantly, what will she be required to give to save these Fullerton men who continually tug her in three different directions?The saga begins with the first book, titled “Enticed,” due to release in early 2014. Author Ginger Voight returns to the dream-making landscape of Los Angeles, in a new tale that throws back the curtain on the dangerous power, appeal and excess of the privileged. Only by the time this tale is done, one principle character will pay the ultimate price as they all race toward that elusive happily ever after. The saga continues for Rachel Dennehy, the tenacious small-town teacher caught in between two compelling, powerful brothers. ****This is Book 2 in the series. Blurb may contain spoilers for Book 1. ****In Book 2 of the Fullerton Family Saga, teacher Rachel Dennehy heads back to California to save her favorite little boy from his rapid downward spiral. She feels responsible for Jonathan’s destructive behavior, knowing it was her broken promise that sent him off the rails. She moves in with Alex, a man who had been her nemesis for so long. Thrust together with the shared goal of saving Jonathan, they find more in common than they had realized. In fact, it is Alex who comes to her rescue Drew confronts Rachel over her “betrayal.” The chemistry still burns hot between them, but Rachel cannot forgive Drew’s cruel deception. Unfortunately he is unwilling to let her go. Drew Fullerton doesn’t like to lose, especially to his younger brother. So he proceeds with his plan to win her back, using every trick in the book to force her hand, including his son. Young Jonathan holds fast to his dream of a real family, which tears her in yet another direction. Her heart is torn between the three Fullertons, all of whom need her in very different ways. Someone is going to get hurt, no matter what she does. She struggles to do what is right, even when she finds it puts her at direct odds with what she wants.How far must Rachel go to win back Jonathan’s trust, and protect the men she has grown to love? ARC kindly provided in exchange for a fair and honest review. Spoiler- free review. Books 1&2 will be available on January 28th. Cliffhanger. The synopsis accurately describes what this story is about…so I’m not going to regurgitate it entirely. Rachel ends up falling for Drew (the hot CEO/business owner that hired her to home school his son). She also becomes a pseudo step mom to Jonathan (her student. She moves in and shakes up the household. Rachel ends up filling two missing pieces of her broken heart…then her world shatters when she finds out why she was really hired. I loved Rachel. She isn’t an emotional doormat waiting to get walked on. She’s strong, smart and independent. It’s hard to find heroines like this in so books these days. 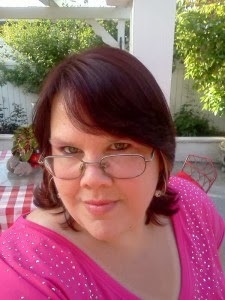 I’m a huge fan of Ginger Voight and will read anything she writes. I will say I really liked Enticed. The story was a little predictable -- but totally enjoyable. I am looking forward to reading book #2 on 1/28. Book #2 will hopefully give us a HEA...because right now my heart hurts for Rachel. UPDATE: I read Untangled (Book #2). I can’t wait for book #3. Entangled was full of some great plot twists. I can wait to read book three to see what happens with Rachel and this family. I love a strong heroine! 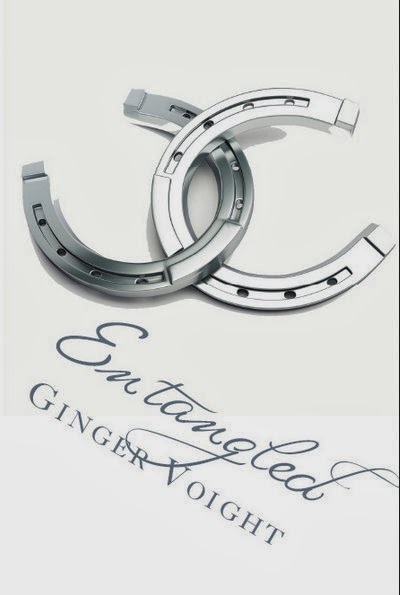 The first 2 books “Enticed” &; “Entangled” to Ginger Voight’s newest series “The Fullerton Family Saga” are NOW AVAILABLE and we don’t have to wait to long for the conclusion of this series – Book #3 will be released in March!! !